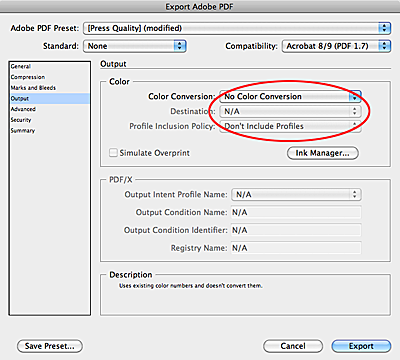 Use the Press Quality preset that comes with InDesign as a starting point. Make changes as noted by the red ovals. Every other setting can stay at its original setting. Deselect Compress Text and Line Art. 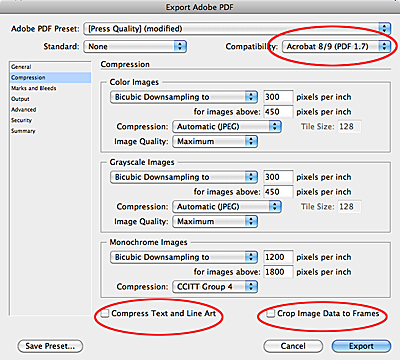 Deselect Crop Image Data to Frames. 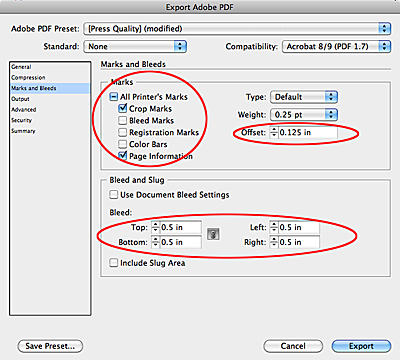 When creating your InDesign document, make sure that any item that is at the edge of the page is extended .125 inches outside the trim edge of your document size.